OLED Encapsulation is a very hot topic, especially for flexible OLEDs. Samsung and LG are already producing flexible OLEDs, but the search for better encapsulation technologies is still on. ALD, or Atomic Layer Deposition is one candidate for future deposition of OLED encapsulation. ALD is based on Chemical Vapor Deposition (CVD) that uses two vapors (gaseous) precursors which react on the substrate which creates a solid thin film. ALD works in relatively low temperatures which means it is suitable for all substrates including plastics. One of the leaders in ALD is Finland's Beneq. Beneq developed an inorganic barrier film called nClear which is deposited using ALD. Beneq says that nClear provides "world class" barrier performance and can be deposited at temperatures well below 100 degrees Celsius. Beneq offers the TFS-600 (Gen-2.5, 500x400 mm) which is used for industrial-scale OLED encapsulation. Beneq's director of Technical sales, Mikko Soderlund, was kind enough to answer a few questions we had on the company's technology and business. Mikko is leading the application development and commercialization of ALD-based thin-film encapsulation technology for OLEDs. He has a PhD in Photonics from Helsinki University of Technology (2009). Q: Mikko, thanks for agreeing to do this interview. There are several competing encapsulation technologies for OLEDs: multi-layer barriers (such as Samsung's old and slow Vitex technology), single-layer barriers (such as UDC's UniversalBarrier), ALD and others. Can you explain how ALD fares against these other technologies? ALD is the only truly conformal and pinhole-free thin-film encapsulation technology. Due to the pinhole-free nature of ALD films, ultra-thin layers (i.e. 10’s of nm's) of inorganic material (e.g. Al2O3) is sufficient for OLED encapsulation. Ultra-thin layers are also compatible with future needs for flexibility. Conformality is advantageous e.g. in elimination of side-diffusion, the OLED device can extend to the very edge of the device and still be reliably encapsulated. Finally, the ALD material costs are very low, and overall cost-of-ownership is very competitive. Q: Encapsulation is currently one of the major barriers towards flexible OLEDs. I wonder if you can give us your views on what kind of solution is required and what can we expect from this market in the near future? ALD is uniquely well suited for flexible OLEDs, due to the ultra-thin layers which are compatible with the future flexibility requirements. I would go as far as to say that ALD will enable future flexible OLED products. Q: Veeco recently acquired Synos Technology, who developed a new ALD technology for flexible OLEDs which they call FAST-ALD. Can you say how your technology compares to Synos' FAST-ALD? For direct encapsulation of flexible OLEDs on large area mother substrates (e.g. Gen-5.5), we are proceeding with a fast time-separated ALD approach. Merits of this approach is that it is based on proven and robust process, and it has a very high throughput. However, we're not expecting the needs of the flexible OLED industry to be satisfied by a single ALD solution. We have in our technology portfolio all the main "tools" for scaling ALD process, and we apply this toolkit case-by-case, to address our customers specific thin-film coating challenges. We're also utilizing the spatial ALD concept to provide the flexible OLED industry with flexible ultra-barrier films, produced with roll-to-roll ALD technology. And then the industry has already adopted our batch ALD solutions, when working with smaller, cut-sized substrates. Q: In July you announced that the UK's CPI ordered a roll-to-roll ALD system for their development platform. Do you know what kind of work will be done using your technology? Beneq is collaborating with CPI to facilitate rapid R2R ALD technology engagement with the industry. CPI will be offering R&D and piloting services e.g. for flexible ultra-barriers using our roll-to-roll ALD system and their extensive characterization capabilities. 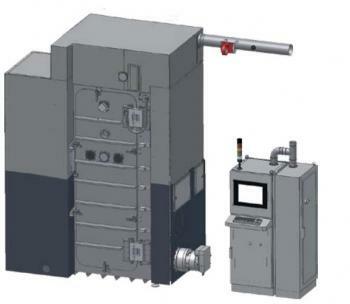 Q: You also supplied a development ALD system (200x200 mm) for COMEDD. Anything you can tell us about COMEDD's new line? That R&D ALD system is being commission at COMEDD. They will be using that tool for a broad range of encapsulation R&D within OLED and OPV. Q: In September 2012 you announced that you sold a large-area ALD coating system to a leading Asian customer to develop flexible OLED products. We assume this is either LGD or Samsung, can you give some more details on this sale and the technology used? Q: Another possible encapsulation technology for flexible OLEDs is flexible Glass. 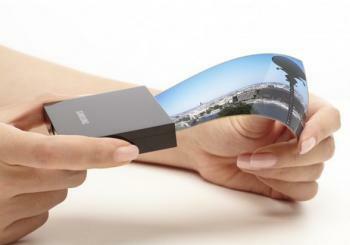 Do you think flexible OLED makers will adopt this technology? I believe the flexible glass needs to address the concerns on production robustness and yield to be broadly adopted. Similarly, ALD needs to prove robustness of the barrier property which flexible glass naturally has. Q: In your own views, what can we expect from the flexible OLED market? When will the first panels arrive and what impact will it have on the display industry? That’s a really difficult question. The recent announcements by LG and Samsung on start of mass production of flexible OLEDs is obviously great news as an early sign of flexible products becoming reality. Thanks Mikko, and good luck to both you and Beneq! You can find more info on Beneq's ALD here, and on the nClear OLED Encapsulation technology here.